Very trendy and stylish look of the product using decoupage technique, decorated with "antique" craquelure. 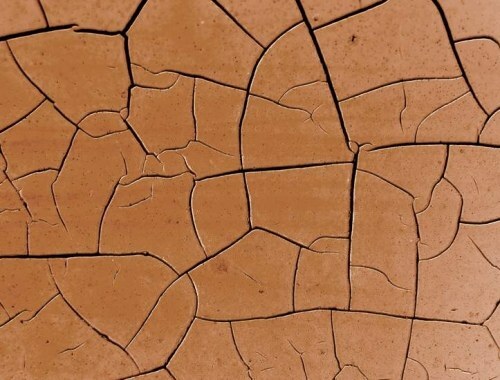 The surface of such products looks like a cracked from time to time. To create a mesh of cracks is possible to buy one - and two-component varnishes. However, they are usually quite expensive, so if you have just started to do crafts, you can try to make an analogue krakelyurnogo varnish yourself. With the help of furniture varnish PF-283, which is a solution of alkyd resins, it is easy to produce an analogue krakelyurnogo varnish. Apply a coat of varnish to the surface of a decorated item and wait 3-4 hours. The varnish should be slightly sticky. Apply second layer of acrylic paint and once dry the product on a Hairdryer. Cracks will depend on the method of application of the top layer of paint. If you apply it with a brush, the cracks will follow the movement of the brush. If it is desirable to obtain the mesh, the top layer must be applied with a sponge-sponge. Leave to dry the finished product of not less than 36 hours. For the manufacture of krakelyurnogo varnish you can also use wheat dextrin, which is a heat treated starch. The powder of dextrin, add boiling water and dissolve on a water bath to the consistency of liquid yogurt. The well-dried finished the work necessary to put a thick layer of glossy lacquer on water base and let it dry. After that you need to apply the prepared dextrin with a brush, as thick and allow to dry for one hour in a natural way. There is also a method of creating a simulation krakelyurnogo varnish using PVA glue. Paint a thick layer of PVA glue all the surface and allow the glue to dry to tacky condition. Allow the glue to dry to tacky condition. Do not use krakelyurnogo varnish near the open fire sources. Work in a well-ventilated area, rubber gloves, personal protective equipment. When you hit a nail on the skin, wash it with warm water and soap. - Do not hurry up to process the entire surface of the product immediately (especially if it's big, but you have little experience). It is best to start kekeliruan from inconspicuous areas where it will not be visible errors. - The thickness of the layer krakelyurnogo varnish depends on the thickness desired cracks. Really old, the surface looks a little different than krakelyura, and usually one glance is enough to distinguish an original from a fake.